Digital Prophets is a unique network of digital commerce experts who help to create, fix and grow retail businesses through consulting, executive placement, interim management, advisory roles, and more. Led by eCommerce veteran Elaine Rubin and staffed by retail industry operators and recruiters, DPN represents a new breed of advisors with a unique business model, connecting the right people to the right projects, placements and opportunities. We focus exclusively on retail, eCommerce and consumer experience across all direct marketing and selling channels: mobile, web, store, phone. 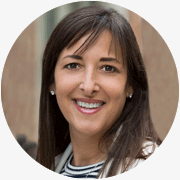 Elaine Rubin is a direct-to-consumer business and digital marketing pioneer with over 20 years strategic and operational experience in retail and eCommerce. Well-known to many as the founder of Shop.org, she served as Shop.org’s Chairman for 11 years, sat on the National Retail Federation Board, and has run businesses for 1800flowers.com, iVillage.com, and Amazon Enterprise Solutions. Today Elaine is an active consultant on select DPN projects and an advisor to Moosejaw, Monetate, and Hilco Global. We select our consultants from an exclusive pool of former high-level retail executives and operators who now serve as independent consultants and/or senior managers of small agencies and specialty firms. Membership is based on a set of rigorous criteria, including direct operating and management experience; a holistic, end-to-end view of the business; a dedication to staying current on the rapidly evolving state of the industry; and the proven ability to provide relevant industry insights that yield realistic, well-informed strategic solutions. Each member is rigorously vetted and certified to ensure our clients receive the best in their respective domains. We create, fix, or grow retail businesses through consulting, executive placement, interim management, advisory roles…whatever’s required to take your business where it needs to go. DPN brings decades of digital experience to every conversation. We won’t waste your time with descriptions of our “standard” services and deliverables. Instead, you’ll get the clarity of individualized commitment that comes from a deep engagement with an industry veteran who’s seen it all. We apply senior resources at every phase to ensure that an engagement progresses smoothly, on time, and on budget. Our Prophets stay directly engaged every step of the way, personally developing the recommendations, plans, and agreed-upon deliverables. Moreover, we work to transfer our knowledge and proficiency to your internal team and leadership so they can continue to make smart, informed business decisions that drive desired results. No two projects are the same. We customize our team, approach and deliverables to suit the specific needs of each company’s unique situation. Because of our extensive network, we have the option to staff each project with consultants who possess the knowledge and experience most relevant to your needs. Our unique combination of hands-on expertise and customized attention means we deliver results based on your goals, recommend only what is realistic and necessary for your business, and accelerate your speed to market. Our network includes consultants and partners working actively in the industries for which we recruit. We locate savvy experts with firsthand experience in planning, building and managing eCommerce, marketing and digital businesses. We have an intimate understanding of how ecommerce and retail operate and unparalleled instincts for identifying, engaging and hiring talent with the right skill sets for the right position, culture and work environment. We’ve done the hard work, curating and certifying a diverse group of retail, consumer and digital experts, all of whom are available to help create, improve or grow your business. When you’re ready to tap into our universe of expertise, we’re ready to jump in. Each of our Prophets is a strategic leader, able to take a seat at the executive table, yet also detail-oriented enough to see your project through. We’ll help you find the right solutions for your business and, if needed, will stick around, roll up our sleeves, and help to implement the recommended changes. Our executive placement services go well beyond those of a traditional recruiter; Elaine’s involvement in every placement means that you’ll have the unique competitive edge conferred by a 20+ year industry operator and executive—an edge which allows us to better identify ideal candidate profiles, shorten ramp-up and close cycles and achieve greater reach and candidate access through our extensive network in the digital retail community. Roll over the image below for more detail. A wide range of services and solutions for retailers, brands, and investors. Your relationship with Digital Prophets Network starts with a diagnostic call with industry expert Elaine Rubin. This initial conversation helps clarify your project goals, assess your in-house resources and technologies, and identify the best approach and metrics to measure the project’s success. Whether or not you choose to work with DPN, we will bring a refreshing perspective that often results in new ideas you can use. 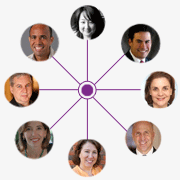 Digital Prophets Network is your gateway to a network of experts. If you are interested in joining our network of highly qualified experts, click here for details.